You may not typically wear lip balm, but be real… sometimes you just need it. 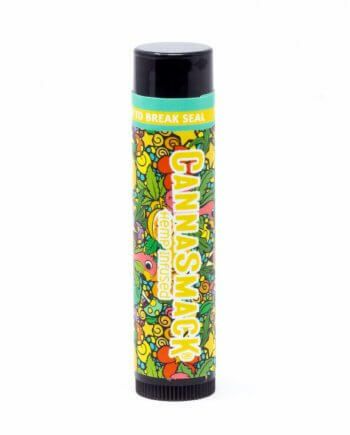 This non-flavored, silky smooth vegan formula of CannaSmack Plain Mary Jane is made for the most sensitive lips. 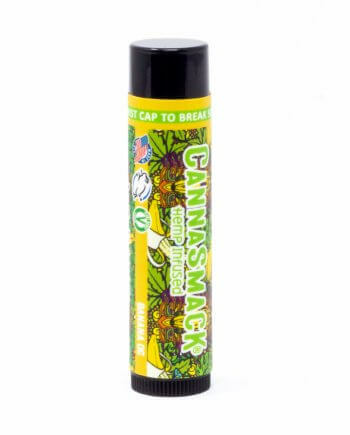 Infused with premium hemp seed oil, paired with a formula of all natural ingredients, CannaSmack provides a kiss of reliable hydration with vitamins A, B, D, E and Omega 3&6 fatty acids. Your new favorite lip balm may be “plain” but the funky hemp leaf pattern it’s wrapped in is anything but! 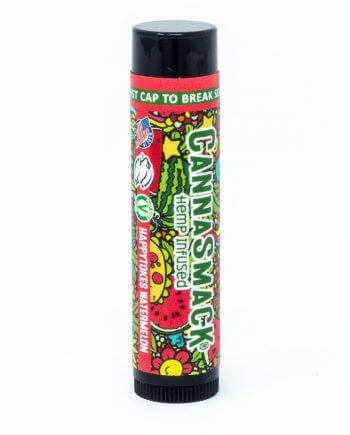 I was so excited that CannaSmack made a vegan hemp lip balm, I instantly purchased 4 (1 for me and 3 for family) we all loved the Plain Mary Jane lip balm. 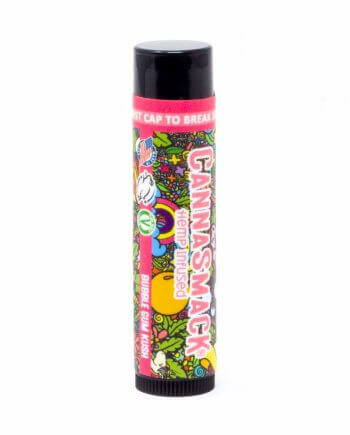 It’s just as smooth as the rest of CannaSmack hemp lip balms, but without the scent/flavor of anything. Just pure moisture. I would recommend this product to anyone. Best lip balm I’ve ever tried. I know that sounds cliche, but I’ve tried LOTS of lip balms (i’m obsessed) and this one is amazing because it actually WORKS. Unlike other chapsticks, It feels as if the balm is penetrating my lips instead of creating a seal over them. Awesome. I’ll be buying these forever.